We had so much fun yesterday looking back through old T.A.H. posts, we decided to include a new feature called T.A.H. Sort Of Instant Semi-Classics From Back In (Good Old?) Days. 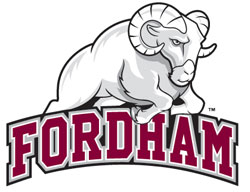 PERENNIAL NIT PARTICIPANT FORDHAM DEFEATS UVA 62-60 - The Fordham Rams, who were long a staple of the pre-1970’s NIT and who have made a grand total of three appearances to the NCAA tournament (1951, 1971, 1991 – evenly spaced you must admit – and due back in 2011), needed a last second shot from walk-on Nick Vita to defeat the Wahoos. Vita, who last year was playing for another perennial powerhouse – the University of California-Santa Cruz, a NCAA Division III team – banked home a shot with 3.4 seconds remaining to break a 60-60 tie. The game was the first win for a Fordham team over an ACC school since January 4, 1967. UNJD WHIPS UP ON IVY LEAGUERS - J.J. Redick scored 24 points to move up to ninth on the all-time Duke scoring list, Shelden Williams added 20 and the top-ranked Blue Devils prepared for their matchup with second-ranked Texas by beating Penn in Durham. The Cameron Crazies shouted “not Virginia Tech” during the entire game. Sean “Knocked It Down” Dockery had 11 points for Duke (8-0), and freshman Josh McRoberts finished with eight points, seven rebounds, four steals and two blocks following a motivational speech from Redick late in the first half.